Natalie Barnes has created an awesome, modern collection for Windham Fabrics called Hand Maker. With 23 skus in this group, I hardly knew where to begin. But, they whispered loudly and I grabbed a handful of the colors, setting aside the black and white prints for the time being. 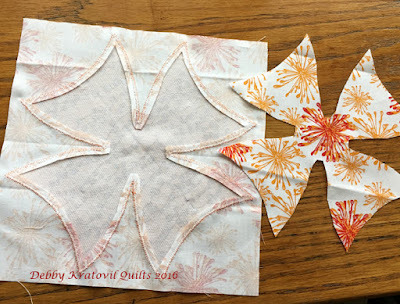 I began with my template cut from freezer paper. 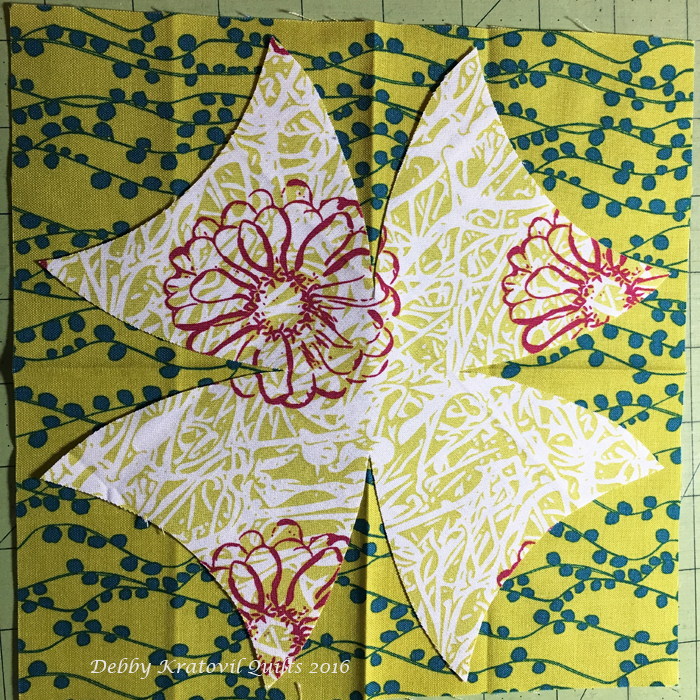 I ironed it to the right side of an 8" square of my chosen fabric, with the fusible interfacing underneath (the applique can be cut from a smaller piece of fabric than the background square). Then I cut it out. I auditioned it on the background fabric I selected. Yep! That's the background I want for this beautiful teal. Applique paired with a background square. I paired and cut out background squares to coordinate with my patches. I then pulled threads for the raw edge applique. And how did you line up the patch, Debby? I finger pressed vertical and horizontal creases, as you can see. Notice that there is a 1/4" around the 4 sides. 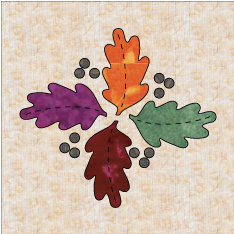 And can we see one closeup after the applique? 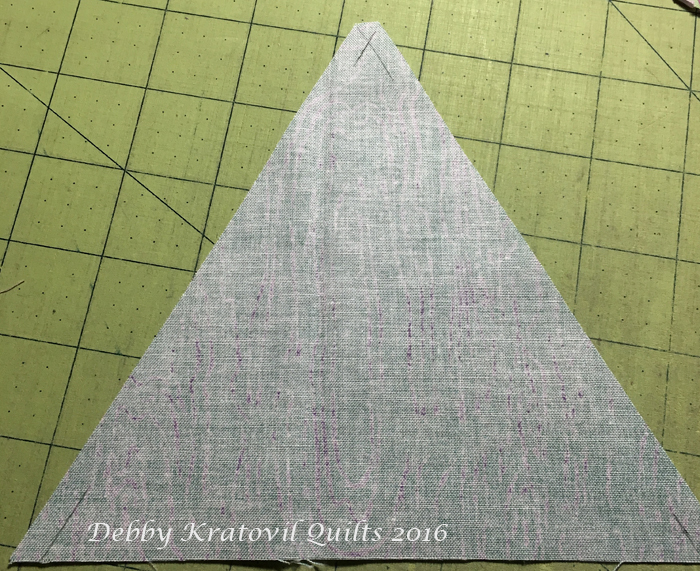 I used a small, narrow zigzag stitch around the raw edges. And from the back? Oh, now you understand why I used fusible interfacing and not fusible webbing. 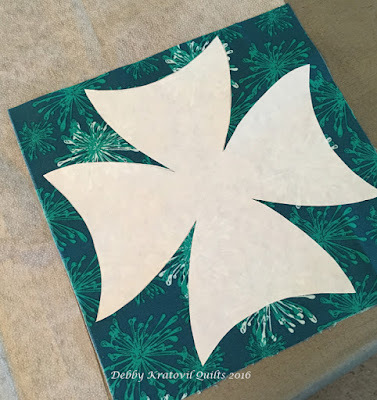 This way you can trim away the background fabric. This is VERY important when you have a dark background fabric and a light patch. If it is fused, the dark will affect the light colored applique patch. Ask me how I know! 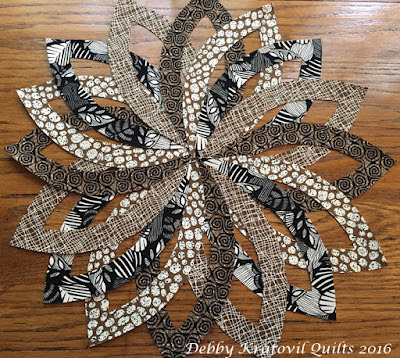 Go visit my Craftsy shop to see my black and white Winding Ways quilt and pattern. It is constructed exactly like this. 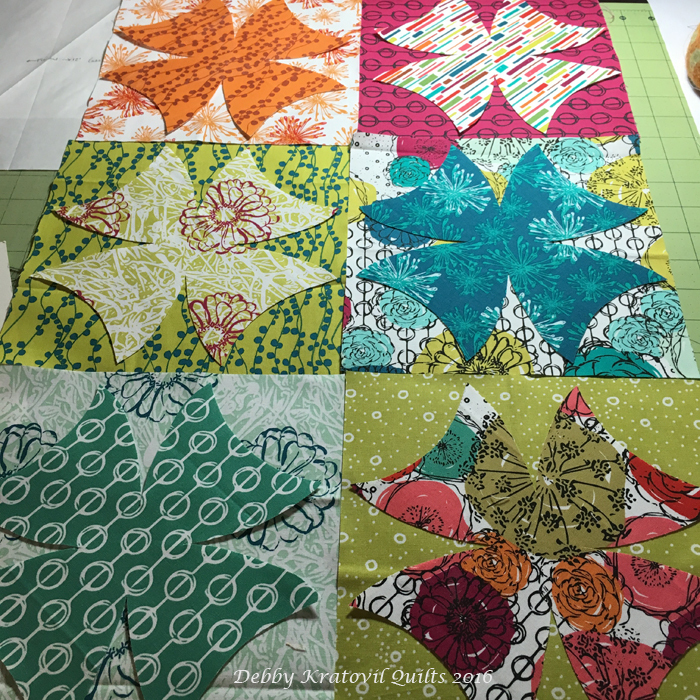 It is a wonderful way to get the movement in this traditional, vintage block without all the curved piecing! The new magazine is out today: Modern by the Yard (Benartex). 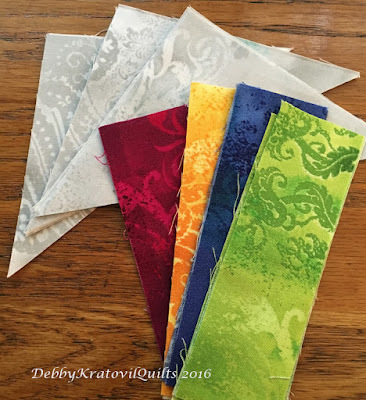 You will find inspiration and updated traditional blocks for today's quilter. My feature is about an updated Double Wedding Ring (DWR). No, I didn't sew these all together. What a lump and sewing challenge that would have been in that center! Here's what I did create. A real modern twist on a traditional Double Wedding Ring (DWR). You may find that the link for the pdf containing the melon shape doesn't work. Just send me an email and I'll get that off to you: kratovil@his.com. Benartex is working to fix the glitch. I hope you enjoy the other 4 patterns included, as well as the features on other quilters and a lot of eye candy for new fabric collections. Modern by the Yard, Fall Edition, released tomorrow! 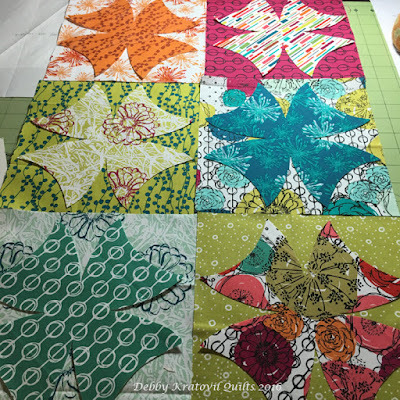 The newest edition of Modern by the Yard (by Benartex) is released on Monday, November 28. I was asked to update a traditional pattern and I chose the Double Wedding Ring. 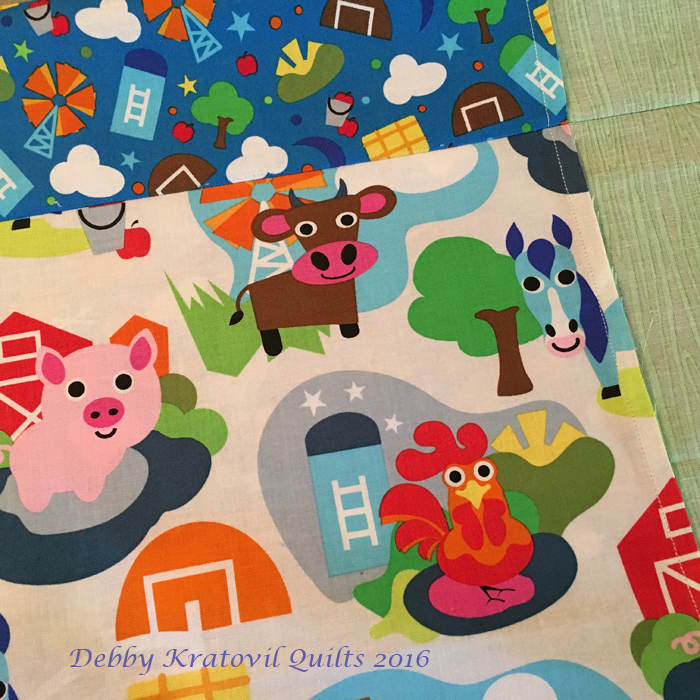 It's something I've been doing for almost 15 years and I think you'll like the quilt and the process. Sew in Love with Fabric will reveal the pattern tomorrow! You will also see one of my "oldie goldie" quilts from long ago, also made with Benartex fabrics. 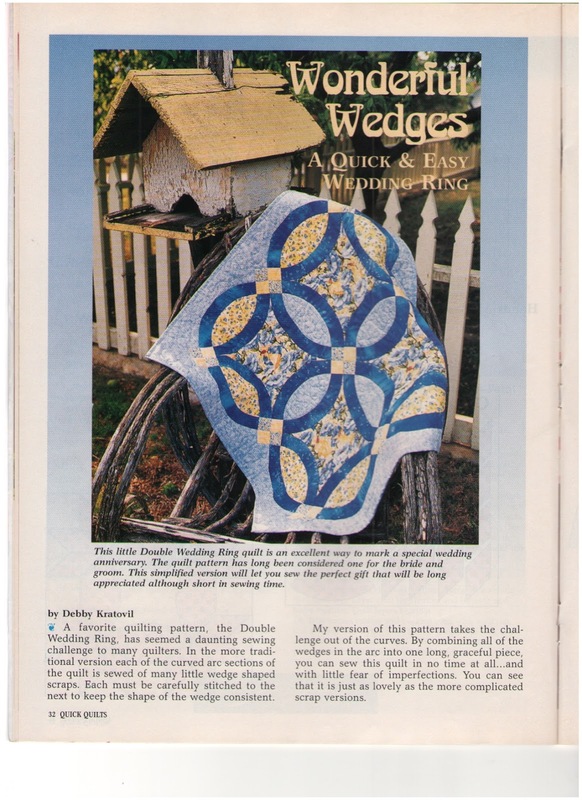 Published in Quick Quilts Magazine, early 2000s. Tomorrow I'll reveal the quilt and a link to get the FREE pattern. Until then, enjoy your weekend! I've made two of these blocks and learned something new with each one. The most important thing for me was that I discovered I did NOT want to sew this by hand OR sew this with y-seams as it is traditionally made. This is made using a center hexagon, six equilateral (60 degree) triangles and simple 9 Patch blocks. 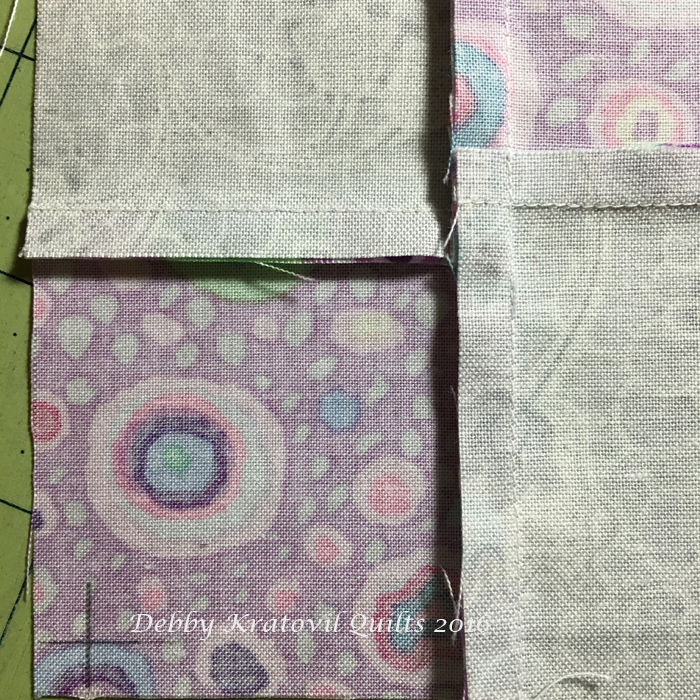 I began with 2-1/2" strips for the 9 Patch blocks and worked my way out from there. 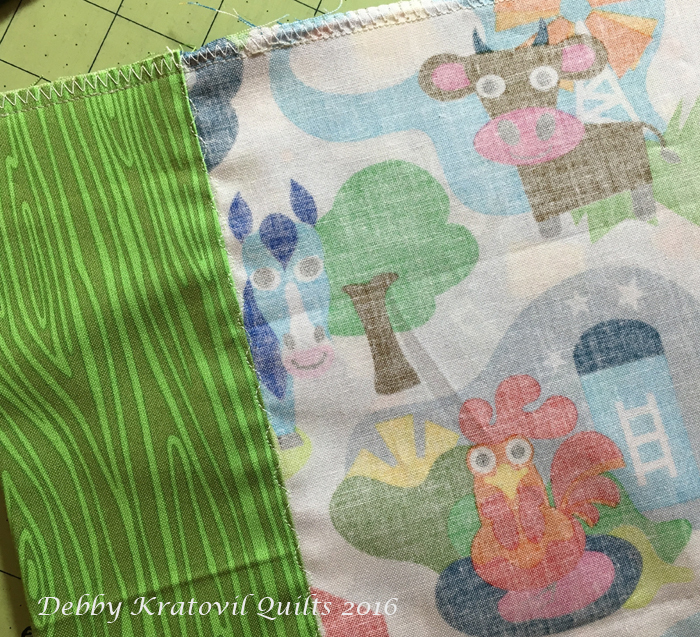 We all look for blocks and quilts that use up our Jelly Roll bundles, right? Well, this will do it! 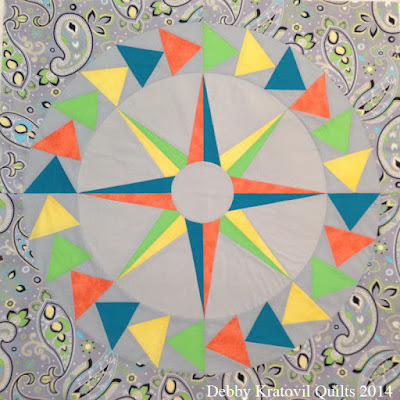 Sew the 6 triangles and 6 Nine Patch blocks together into a "ring." What you see below is the "ring" and the center hexagon fabric being auditioned underneath. It is NOT sewn yet. Now, back to that 6" center hexagon. 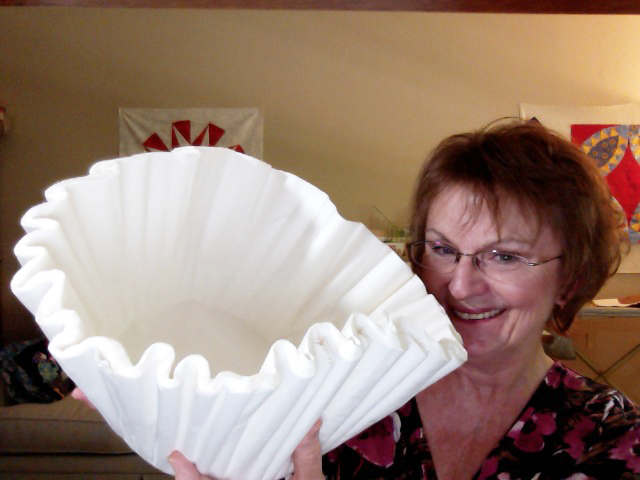 This is 6" measured along the straight side (the way those who English Paper Piece measure these things). 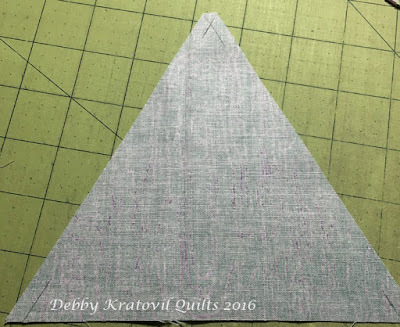 You can use an acrylic ruler to draft this, as most have a 60 degree line for orientation. 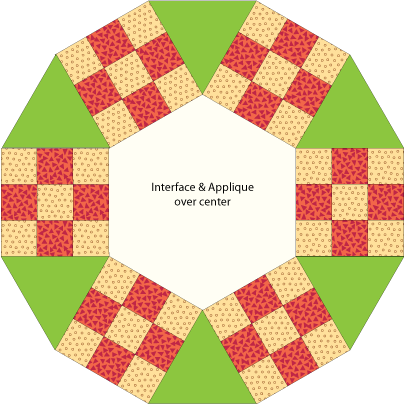 (My 8 page pdf pattern on Craftsy - for the Jack's Chain Table Topper - has the template for hexagon (as well as process photos, illustrated step by step diagrams and the template for the 60 degree triangles). Since I have bills to pay (as you do), it's not free, but is reasonable ($5.00)! I will be moving this over to Etsy soon! 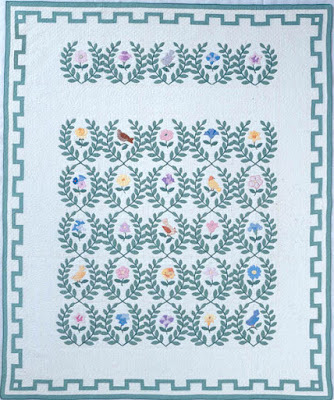 My craftsy pattern is here: Jack's Chain Table Topper, 22-1/2" x 22-1/2"
Remember this main print I shared the other day? 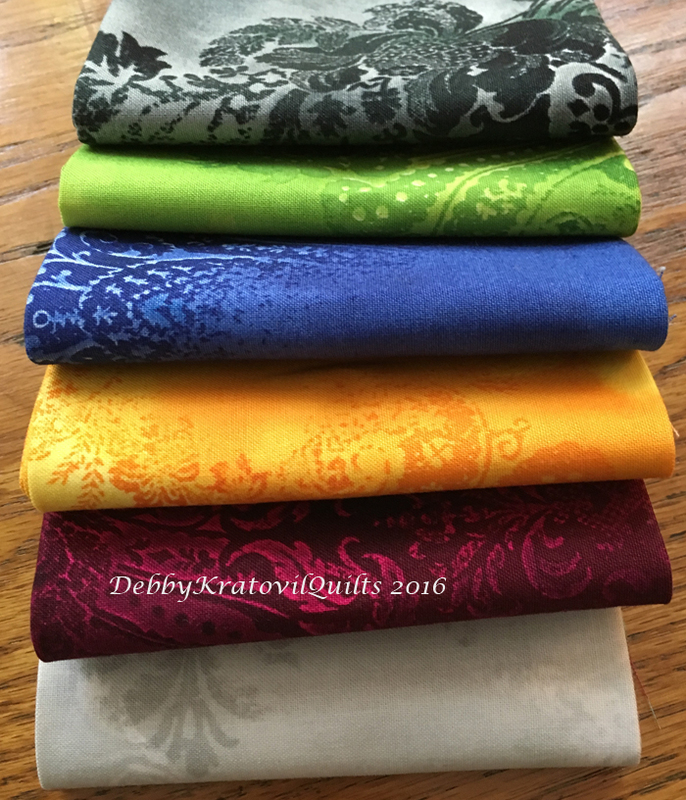 Here is the set of fat quarters Windham sent to me. Aren't they SO CUTE? That is one SAUCY rooster, don't you think? I struggled. Why? To a quilter, ALL fabric says "quilt!" 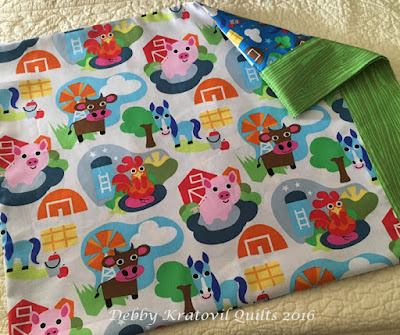 But I knew that her mom (my daughter) wanted another pillowcase for Eva. 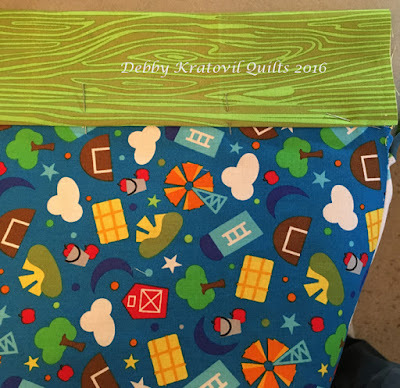 She has several quilts already. 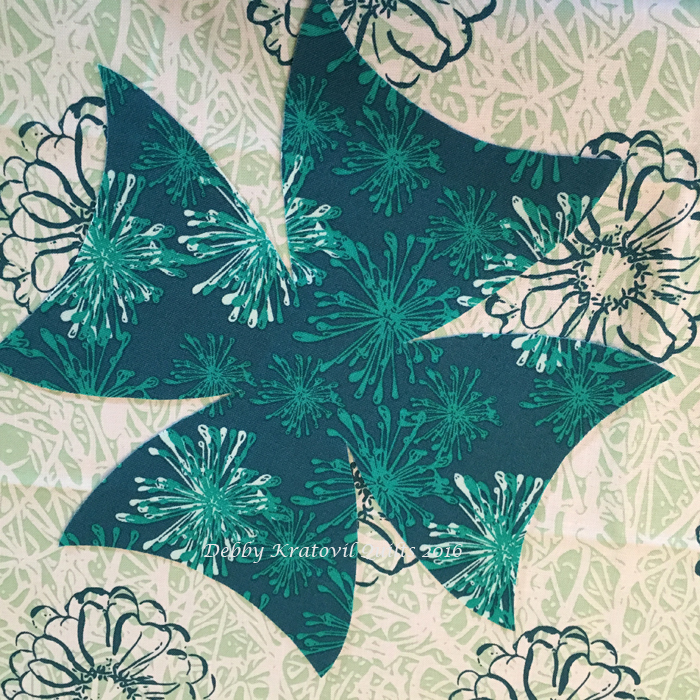 I selected two fabrics to go with the main print. 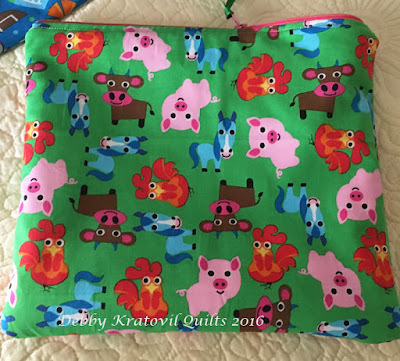 All I had was fat quarters so I needed to piece the main part of the pillowcase. One for the front and one for the back. 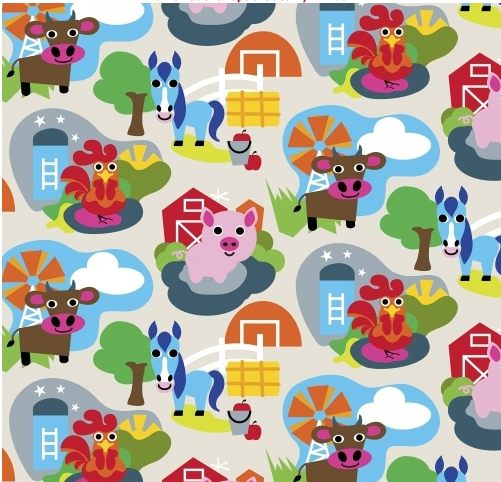 Happy little farm animals, smiling at me as they know they're going to get off my fabric shelf and go live with a little child! See how happy these animals are to be on their way to a pillowcase! 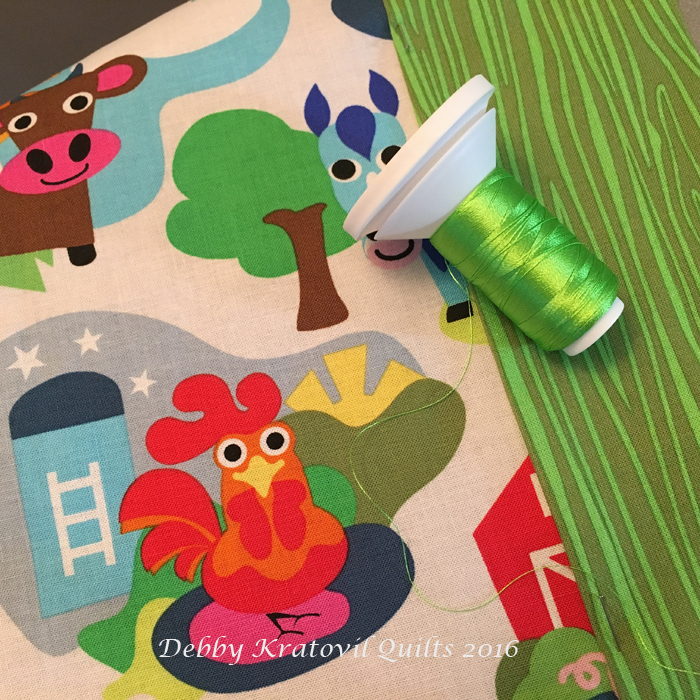 Happy rooster, cow and horse - they like the green thread I chose to topstitch the pillowcase hem. Folding the green hem to hide the seam. 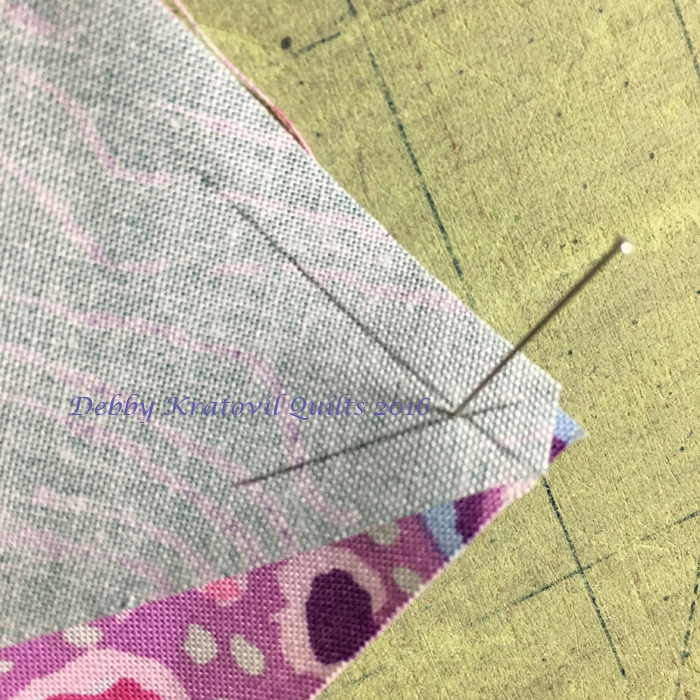 Pinned and ready to topstitch with green thread. Hello? We can see you from the other side! Next, for a zipper pouch, I needed to shorten the zipper so it would fit the pouch size. A neat trick, don't you think? At first the pig and sassy rooster were worried I might get their "hair" tangled in it. But, see, they're still smiling? I made a zipper pouch for Eva to put her little treasures in. Don't you love it? And let's see the inside! Where did I get the pattern for this? Certainly not from my head! I did a Google search and came up with a post from Melly Sews. She shares the neat trick for shortening the zipper, too. I like the challenge of working with fat quarters. It forces me to be creative. Who says the pillowcase has to made from only one fabric? And I think my granddaughter will enjoy flipping the pillow over to see what's on the other side. 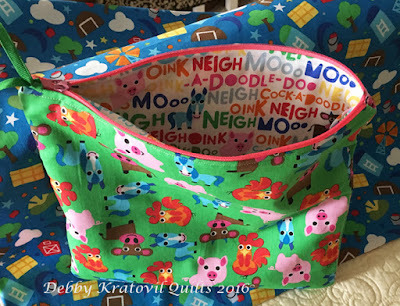 Now I'm off to the Dollar Store to find a few farm themed pre-school items to put inside that bag. She gets this on Thanksgiving! 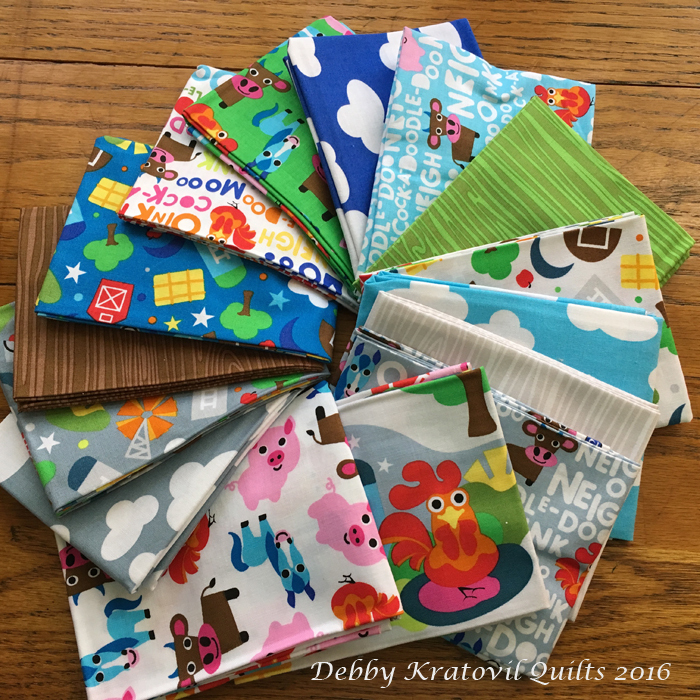 Dreamscape Fabrics, Free Pattern & Giveaway! Contest is over and my winner has been notified. Thanks to EVERY ONE of you for visiting, saying kind words about my block and giving feedback on blenders, paper piecing and anything else quilt-worthy! I appreciate all of you. 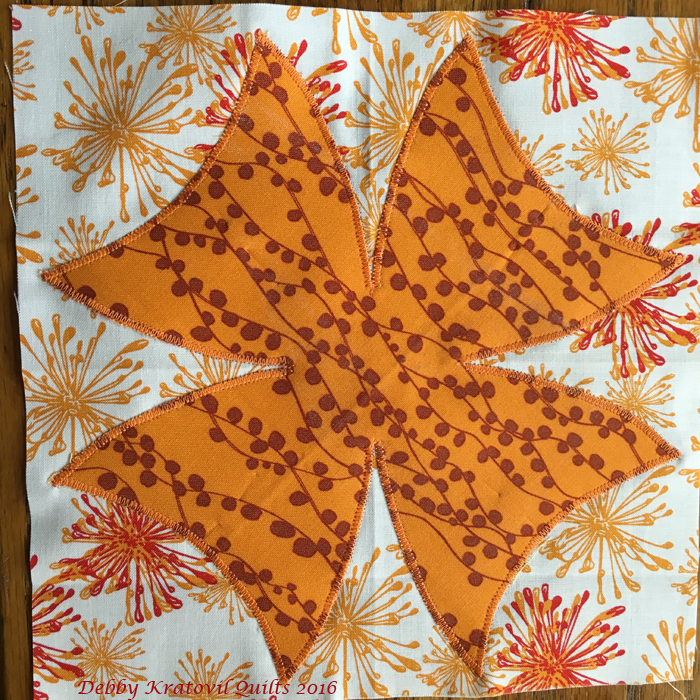 Today is my day to share a block pattern at the Sew in Love with Fabrics blog (Benartex). 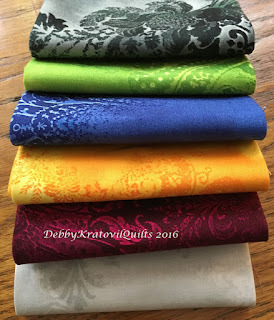 We designers were each sent the same fat quarter bundle of 6 fabrics from the Dreamscape Collection. They are what I would classify as blenders. See what you think. I used all but the dark gray in a pattern I designed about 10 years ago which I call Striped Star. You can read all about it at the Sew in Love with Fabric site today and be entered to win a fat quarter bundle of these very same fabrics. The contest is over the day after Thanksgiving, Friday, November 25 at midnight. 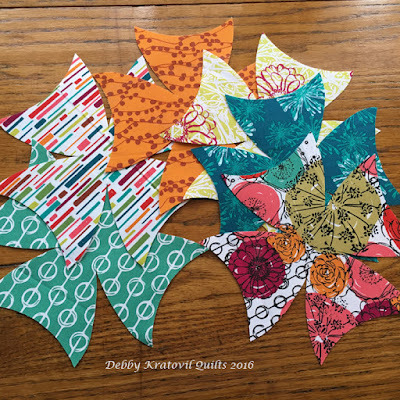 Just leave a message here (after you view the tutorial) about how you like to use blenders, your thoughts on paper piecing (my block is paper pieced) or anything else about the post you liked. Make sure I have your email, too! The giveaway is limited to US residents only. 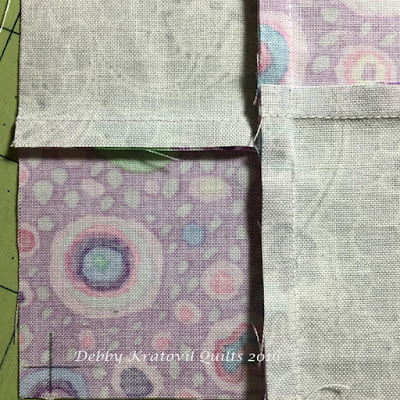 Seems like I hit the "publish" button too soon this morning on my teaser post about the Tuesday Sew in Love with Fabrics tutorial. (Those who get emails about this blog post know what I'm talking about.) You saw these fabrics and wondered, huh? It's coming on Tuesday, I promise, with a giveaway. Also, I'm finishing up my Jack's Chain block and hope to have a FREE pattern for the large block by Friday. Just in time for Black Friday, when I NEVER, EVER go shopping. But online shopping is ok, right? 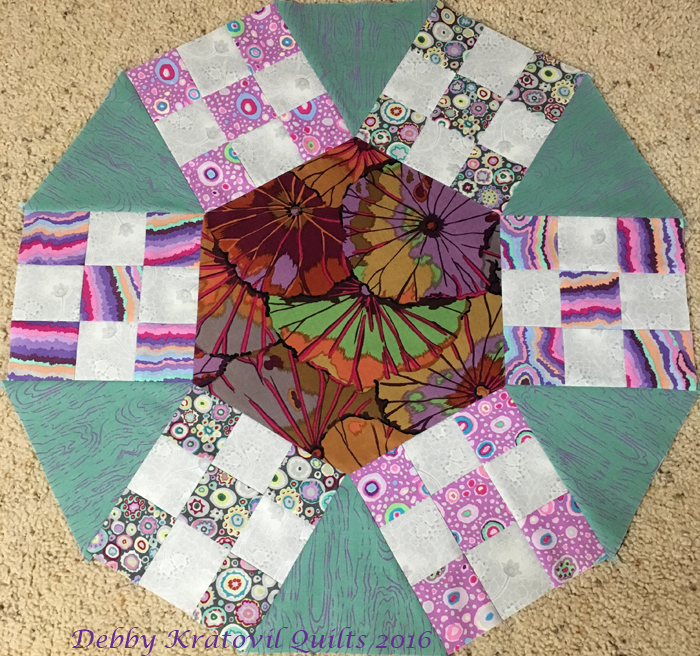 This block is so large that it's going to be a perfect table topper. 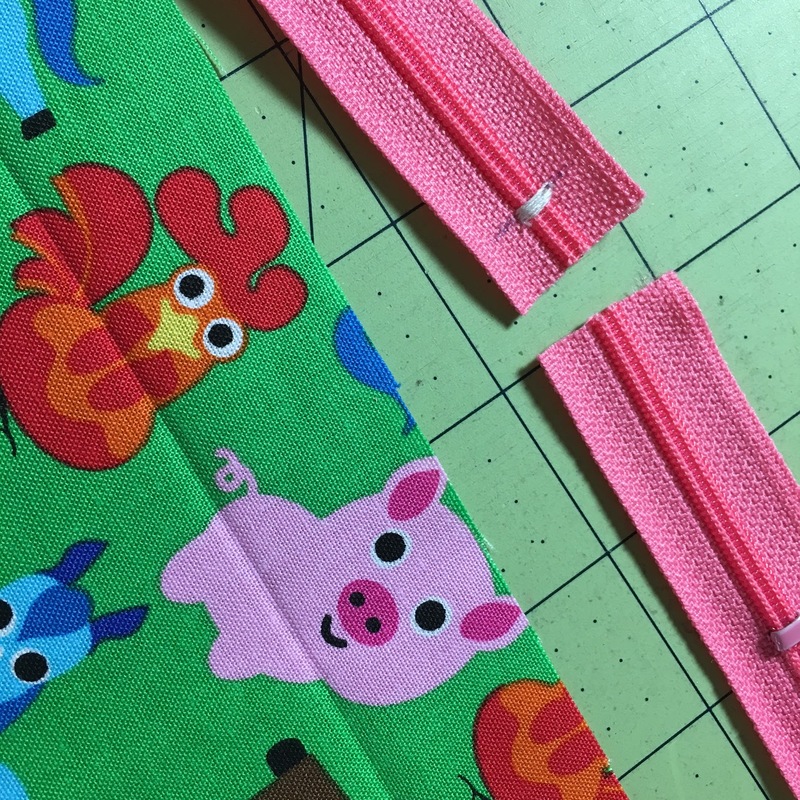 And I've simplified it so that if you're very careful with your 1/4" seams, you don't need to resort to y-seams. Good news! I also have a few new collections by Windham that I sort of have an idea about. One is a sweet novelty print called Farm. Scratching my head for something sweet to make for my little granddaughter who is learning language at a fast pace (she's almost 3). Here's one of my teaching samples. I'm working on two (yes, TWO) this weekend and I think you'll like to see the different looks using very different fabrics. You're probably thinking that I've forgotten it's Thanksgiving week and that I have to cook for days and a lot of people. Not this year. I'm going to my daughter's house with pies and rolls. She's in charge of the other food. Good news again! This gives me more time to sew this week. I love getting inspiration from the vintage/traditional blocks from decades ago. Jack's Chain is one of those. I took an older file from my computer (from when I worked for Quilt Magazine) and tweaked it for use with 2-1/2" strips. 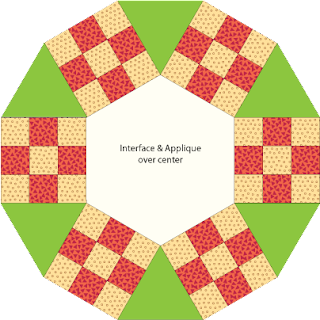 I needed to resize the center hexagon and surrounding triangles. So glad I have Adobe Illustrator as my software! So, what does Jack's Chain look like? Here is one block (digital). And the vintage, newspaper pattern? 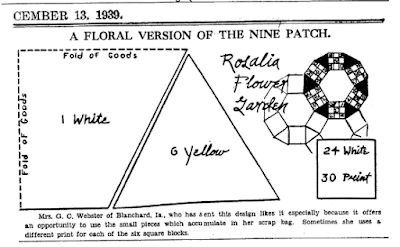 It was first called Rosalia Flower Garden in 1939. 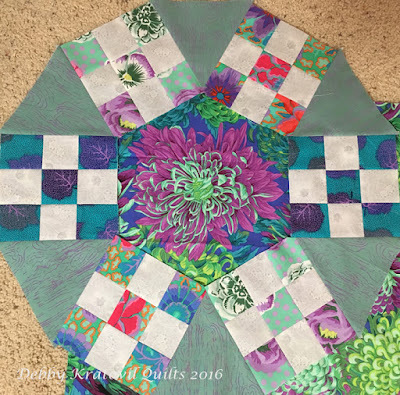 The traditional blocks made for this quilt are never this large. But because I wanted to use 2-1/2" strips, it obviously grew! I used some vintage Kaffe Fassett fabrics (ie, over 10 years old) along with some newer prints for my prototype block. 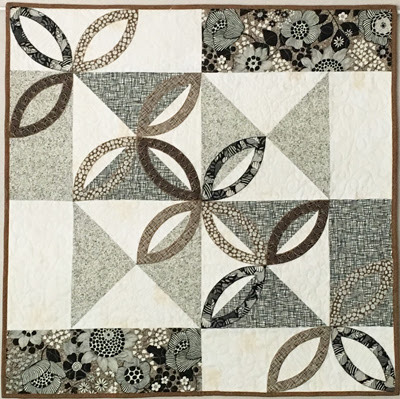 Jack's Chain Block: 23-1/2" x 23-1/2"
The light gray is a Windham fabric called Mary's Blenders. 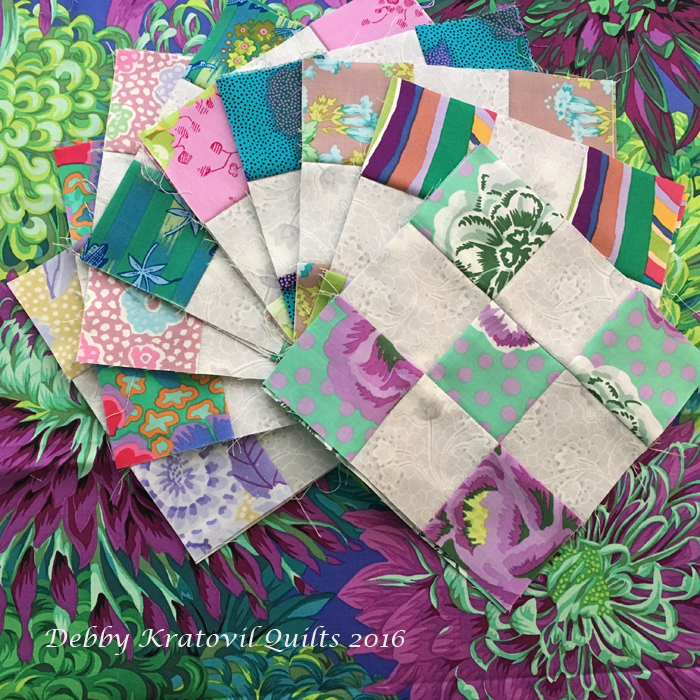 The green/purple triangle fabric is an Emily Taylor/Riley Blake fabric. Maybe I should stay with the light gray for the center hexagon? Not sure yet. That's why I create prototype blocks before I even think about writing a pattern! I have been cutting and stitching more 9 Patches that will go with another bold KF print. What do you think? There are two blocks in each print. No pattern yet. I have to work out the kinks! I sewed the full block all by machine. I stitched a circle with the 6 Nine Patch blocks and 6 triangles. 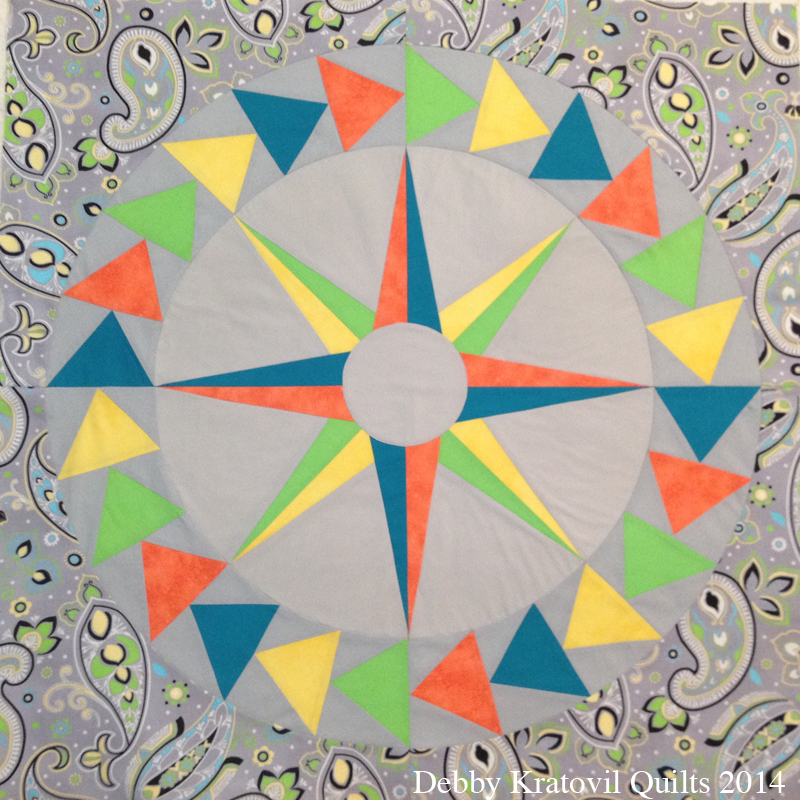 Then I interfaced the center hexagon and appliqued it over the large hole. It works, but I think I'm going to try using a dreaded y-seam on my next block. I'll keep you posted. 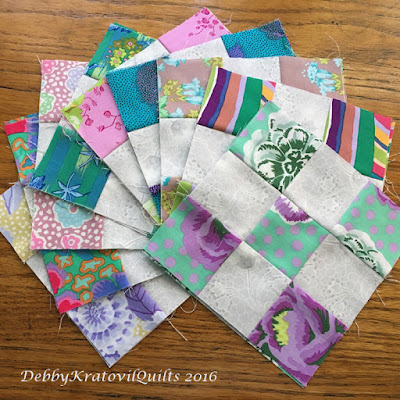 While most folks wouldn't be enamored with such a LARGE block, you have to think of it this way: You get to your finished quilt a lot faster with big blocks! I have always had an affinity for the vintage 1930s patterns. 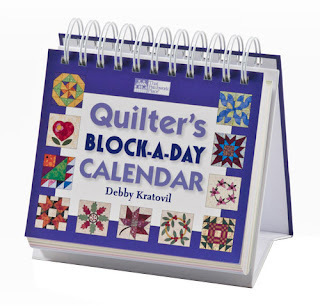 Many appeared in newspapers as series that quilters eagerly anticipated weekly and then cut out and stitched using whatever fabrics they had available. 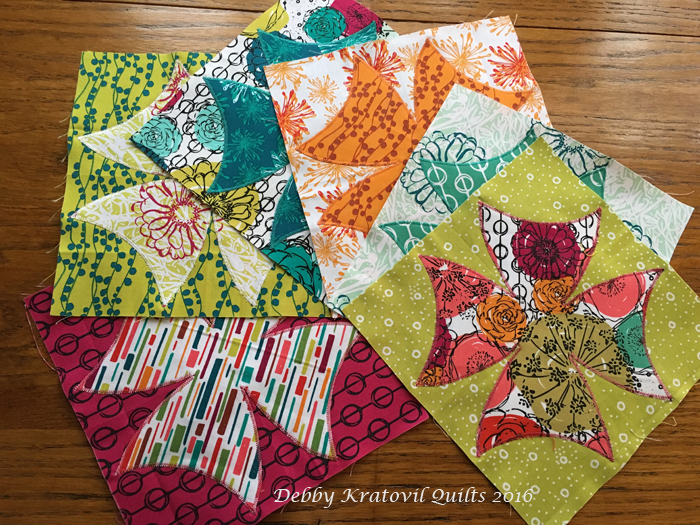 The famous Kansas City Star patterns are usually what comes to mind when today's quilter hears about these vintage blocks. But the Chicago Tribune and other large newspapers also ran a variety of these series. One that recently came to mind is the Laurel Wreath. Do you know that one? This was designed by Florence LaGanke writing as Nancy Page. Each block was accompanied by a detailed description of how to select and arrange the fabrics. The appliqué blocks were given full size for tracing onto template material. I redrafted the blocks in early 2004 and then plunged in thinking I would make the entire quilt. Holy Cow! After 5 blocks (all the birds), I gave up. I made one bird into a small wall quilt and have since gifted it. (Can't find a picture of that one, sorry to say.) And I turned the other 4 birds into a lovely quilt using garden maze sashing. 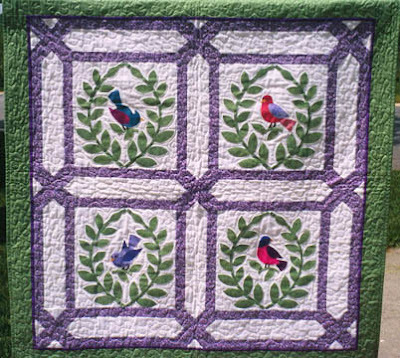 Four Block Laurel Wreath Quilt: 45" x 45"
I used to sell this on CD for many years. 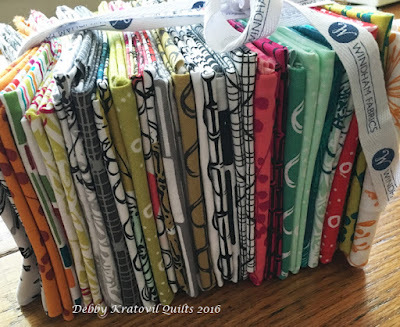 Since then I've turned it into a 66 page pdf and sell it on my Craftsy site. Still only $10. The Laurel Wreath is such a lovely reminder of days gone by (REALLY gone by!) and the sweet blocks created by designers during the 1930s. I think my little granddaughter would enjoy looking at this one. Her mother (my oldest daughter, Audrey) is also enamored with 1930s fabrics and designs. She has laid claim to many of my vintage remakes and will probably get all of the rest when I pass on to the "giant sewing room in the sky." Maybe I'll share a few of my other remakes of these series in future posts. 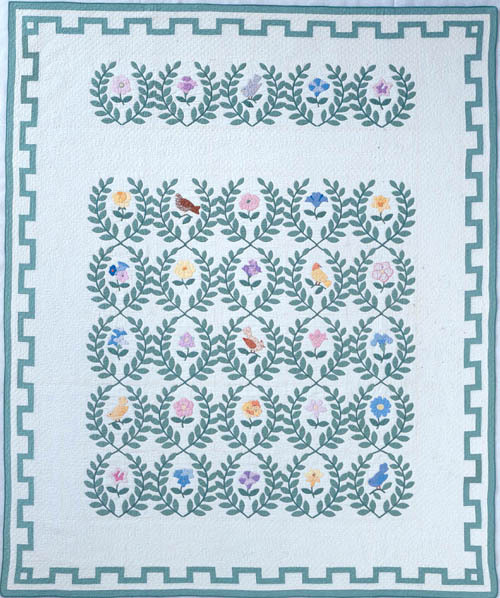 While not large, there is a strong contingent of quilters who love these vintage patterns. Are you one of those? Happy All Saints Day. Hope you didn't eat too much candy on Halloween! Our project for November in the Calendar Girls 2016 BOM is a set of placemats using the Glory Leaves block from November 21 in the Quilter's Block a Day Calendar. And what do the placemats look like? 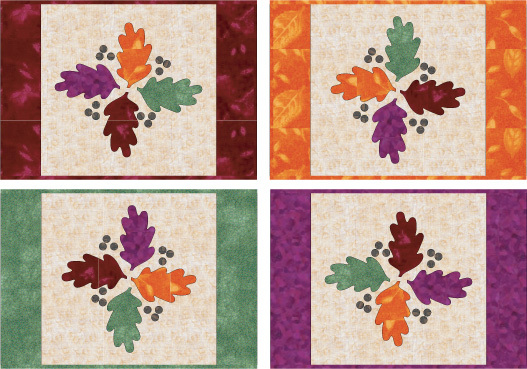 Glory Leaves Placemats: 12" x 18"
And yes, there is a NEWSLETTER with tips on attaching binding. Remember, in order for the pattern to make sense, you must own a copy of my calendar. If you don't have a copy, you can order it from Amazon or get a copy from your local quilt shop. 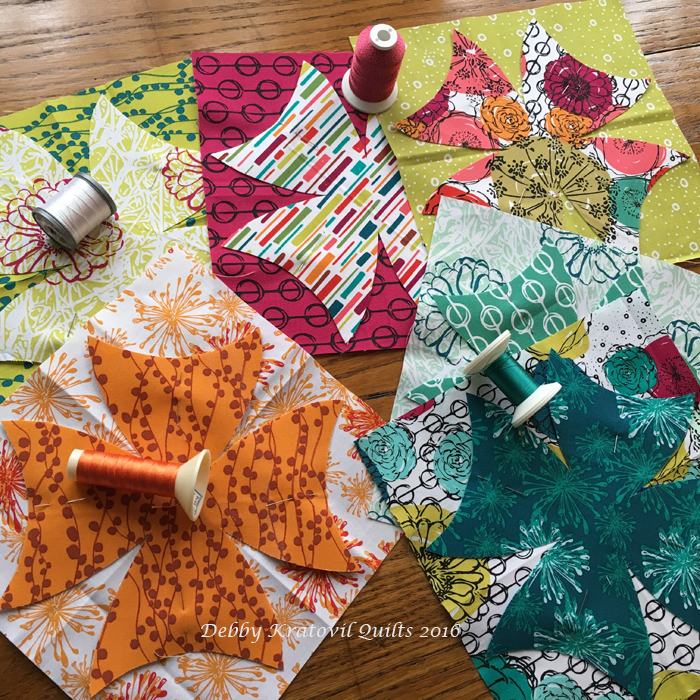 Until next month (which is our last block/project in this series), have a wonderful Fall, Thanksgiving and make sure you get lots of quilting in there!